Eight-hundred regular-season career points is an incredible accomplishment. But he couldn’t care less. That’s Dane Dobbie for you. 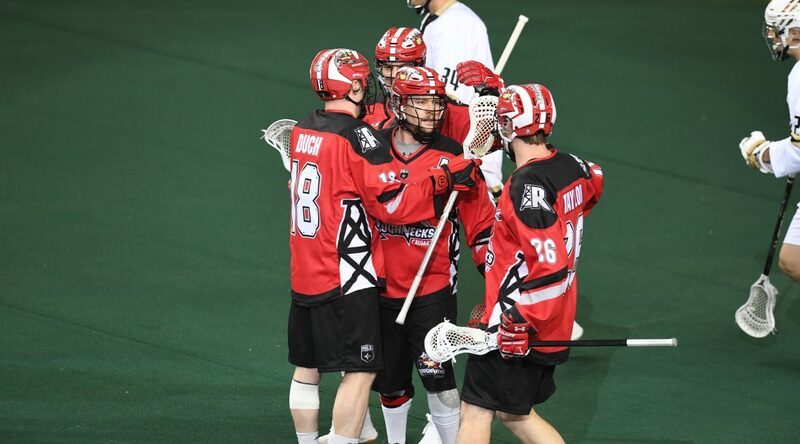 With a four goal, six assist effort in the Riggers 17-12 crushing of the Saskatchewan Rush Saturday in Saskatoon, Dobbie became the 18th player in indoor professional lacrosse history to surpass the 800-point plateau. But, asked if he was happy with his big accomplishment post-game, he didn’t have much to say. No doubt, seeing as it was the Riggers first victory over the Rush in well over a season, and first ever at Sasktel Centre. And despite his 10-point performance in the massive win, Dobbie was quick to credit his teammates for their overall success. “From the goaltender out, everybody put together a complete game,” he said. “It’s a 60-minute game, it’s a game of lacrosse and there’s going to be ups-and-downs and momentum runs here-and-there. Naturally, his response was similar when asked specifically about his accomplishment of hitting 800. But back in 2007, after being drafted fourth-overall by the Riggers, the current franchise all-time leader in points, goals, and soon to be assists (he needs seven to surpass Jeff Shattler’s 416) had no idea he’d make such an impact. “This is nowhere near what I expected myself to be,” he explained. “I always idolized NLL guys. I grew up watching Toronto games all the time and it’s just something you idolize, you never take for granted. I came in back then expecting to have good game, have a good year and keep building. And even with 12 seasons of experience under his belt – we bet you can still guess his favorite memory. “2009 Championship game, that’s an easy one,” Dobbie said. “We all play the game to win, and it’s very difficult to do in this league. When you get the opportunity, you jump on it.